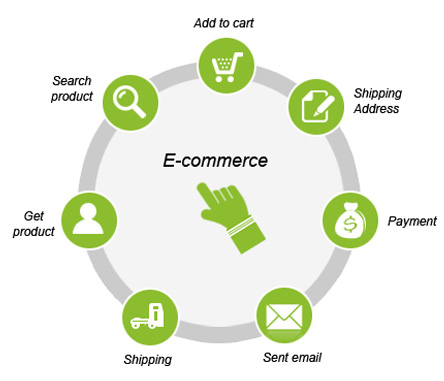 Development plan and implementation strategy in achieving our successful eCommerce Portal Solutions for the CLIENTS. The solutions envisioned by comprises of 3 essential components.. Provides users the ability to view products using and amazon.com style storefront. It organizes all of the products into distinct categories. Users may view details of products and also enlarge the images for a better look at the product. Alternative products and accessories are available on the same system. All items can be searched for using any of the product attributes. Order can place into ‘basket’ and upon checkout, the order shall be placed with CLIENT. Other users may add their reviews and criticisms for any product. It is used primarily by the internal users such as employee , branch offices, vendors etc. Used to facilitate inter-company communication. Used to facilitate training by offering training through Audio /Visual Medium . To Distribute marketing material such as brochure, flyers and other marketing paraphernalia. Built in issue tracking system for organized communication. The administration module would help the administrator to in managing and maintaining the portal. The administrator can manage the content across the portal using CMS. The administrator module will allow the administrator to maintain the products, categories and sub categories on portal. Multiple reports can be produced by the system. All the reports, even the most complex one can be built using simple interface. User profiles may be added, deleted and edited by the system administrators. The system will be hosted on a web server hosted on a GigE Ethernet connection. The data will be backed up on a nightly, weekly and monthly basis.